It's now a waiting game for Madonna. The pop star's appeal of a court ruling against her attempt to adopt four-year-old "Mercy" James, of Malawi, was heard Monday in the Supreme Court of the poor southern African nation. Their decision could be announced come anytime in the next few days or weeks, says CBS News correspondent Priya David, who was in the courtroom as arguments were heard. Most of the discussion, she says, revolved around a single point -- residency. Malawi law indicates a person must be a resident of Malawi to adopt. Madonna's attorney, Alan Chinula, conceded that the singer isn't a resident, but argued that it was more important to consider the best interests of the child overall -- the same argument that swayed a judge in the case of David Banda, the son the pop star adopted from Malawi two years ago. In an exclusive interview, Chinula told David that James Kambewa, who suddenly came forward claiming to be Mercy's father, is out of luck. 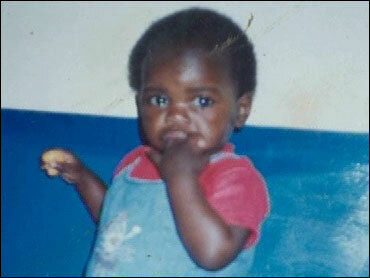 Kambewa, 24, who says he does odd jobs and makes about $20 a week, tried to stop the adoption. He responded to reporters' questions about his motives by telling David, in English, "I do not want my baby to be taken, or even to be adopted with Madonna." Through a translator, he added, "I never ran away from the pregnancy. Whatever they write, let them write. Let them write what they want to write, but what I know is I never ran away from my baby's pregnancy." But asked by David if Kambewa's attempted intervention will work, Chinula responded, ""It is too late. We've closed. The case is closed. It is too late." That, explains David, is because the court won't hear any new evidence. James didn't show up in court, but advocates for orphans in Malawi did. One of them, Ulemu Kammayani of Malawi's Human Rights Commission, told David it's in Mercy's best interests that she be adopted by Madonna. Not all orphans' advocates in the courtroom saw trhings that way. Malawi, David points out, has a million orphans. Mercy's whereabouts are unknown. She'd been in an orphanage almost since birth. As for Madonna -- she was in New York at the Metropolitan Museum of Art's Costume Institute gala.